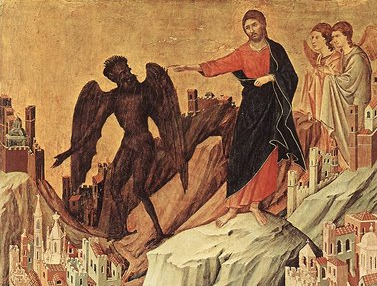 In the Gospel, we often hear of Jesus expelling demons. Perhaps this fact seems somewhat strange to us because being possessed by a demon seems to us as something exclusive to those times. However, it also happens today even though it may be less frequent. To illustrate the point, Fr. Richard McBrien (National Catholic Reporter) mocks a certain Bishop Thomas Paprocki for announcing a special Conference on the Liturgical and Pastoral Practice of Exorcism, to be held in Baltimore in early November, just before the bishops’ semiannual meeting. His question was rhetorical, of course. Paprocki was recently appointed Bishop of Springfield, IL by Pope Benedict XVI, who has been known to take the existence of the devil — and exorcism — rather seriously himself. The absurdity of that sentence really struck me. There was nothing “private” about the view of the “superiority” of hetereosexual couples. It has been carried on through generations of communities and in the present day was represented by 52% of Californians. How a popular decision that represented thousands of years of ethical thinking and concern for the family became a private morality is baffling. More troubling is the implication of the judge that a “moral view” is not a proper basis for legislation. Since when has this been the case? Our laws on pedophilia, minimum wage, health care, torture, human rights, etc. are based at least on part on “moral views,” views that in some respects may be just as if not more private than the ones the judge rejects today. If morality is not a basis for legislation, what on earth is? Morality guides us in making decisions; without a moral or ethical compass (or perhaps even without a religious one) there is no basis for legislation to be made. Laws are supposed to help make society run better, but there is no way to make society run better unless you have a notion of what a “better society” looks like, and you don’t get to that notion without morality. State recognition of homosexual marriage is one thing, but this ruling attacks the foundation of our government. Morality must have a place in the public sphere and must be one of the foremost foundations of legislation. To be sure, the judge is simply smoke-screening for the fact that he is imposing his own standards of morality. But the fact that his statement rejecting a moral basis for legislation is being so celebrated should worry all Americans. 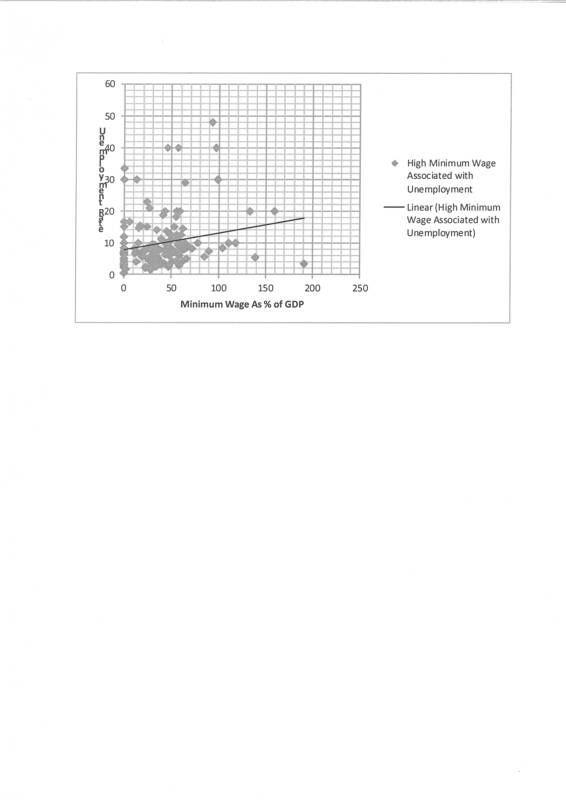 The traditional economic take on the minimum wage is that it causes unemployment. If the law says that an employer must either pay a man $7 an hour or nothing, and the man is only worth $5 an hour to the employer, then he will pay him nothing, and the man may go jobless. Many people are skeptical of this line of reasoning. After all, the U.S. recent raised the minimum wage from $5.25 an hour to $7.15 an hour, and it’s not like unemployment is terribly high right now. Okay, bad example. The truth is that while the theoretical case against the minimum wage is sound, it can be hard to test the theory empirically by looking at the U.S. because minimum wages here tend to be low enough as to only apply to a small portion of the population (around 3%). Given that the minimum wage applies to so few workers – and the fact that market wage for even those workers is probably not far off the legal minimum – its not surprising that whatever effect minimum wage laws have on unemployment tends to get obscured by larger trends in the economy. The picture is different if we take a worldwide perspective rather than confining ourselves to looking at the U.S.
Wednesday, August 4, 2010 \AM\.\Wed\. You are currently browsing the The American Catholic blog archives for the day Wednesday, August 4th, 2010.